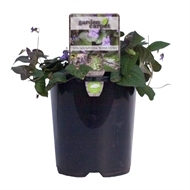 Wood Violet is a clump forming perennial with small, heart shaped, dark purple leaves on short stems and small deep mauve flowers. Flowers in spring, summer and autumn. 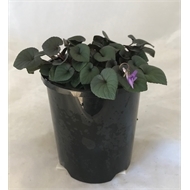 Grows to 10cm high x 30cm wide. Ideal as ground cover for shady spots in the garden. 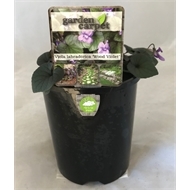 Does well in pots and hanging baskets.